Ant. 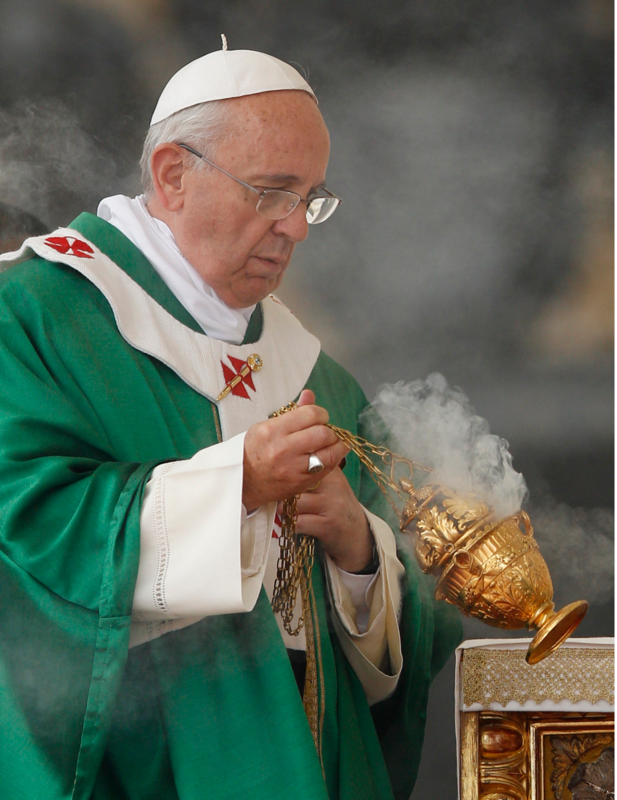 Let my prayer be set forth in your sight as incense, the lifting up of my hands as the evening sacrifice. let not my heart incline to any evil thing. nor eat of their choice foods. for my prayer is continually against their wicked deeds. that they may know my words are true. let their bones be scattered at the mouth of the grave. do not strip me of my life. and from the traps of the evildoers. Ant. 1. Those who sow in tears will reap in joy. then were we like those who dream. and our tongue with shouts of joy. and we are glad indeed. like the watercourses of the Negev. will come again with joy, shouldering their sheaves. Ant. 2. May the Lord build our house and guard our city. their labor is in vain who build it. in vain the watchman keeps his vigil. for he gives to his beloved sleep. and the fruit of the womb is a gift. are the children of one’s youth. when he contends with his enemies in the gate. Ant. 3. He is the first-born of all creation; in every way the primacy is his. the forgiveness of our sins. in heaven and on earth, visible and invisible. he is before all things and in him all things hold together. and through him God was pleased to reconcile all things. Now to him who is able to do all things, more abundantly than we could ever ask or understand, by means of the virtue which is at work in us: to him be glory, in the Church and in Christ Jesus, throughout every generation, forever and ever. Amen. Ant. 4. The Almighty has done great things for me, and holy is his Name. From this day all generations will call me blessed. For he has remembered the promise of mercy. To Abraham and his children forever. as it was in the beginning is now, and will be forever, Amen. Be mindful of your Church, O Lord. – we ask you to make us his witnesses to the farthest corners of the world. – help us to preach this Gospel to every creature. – grant that we who work at sowing the seed may share the joy of the harvest. – help us all to work toward achieving this reconciliation. – let the dead enter your kingdom of joy.